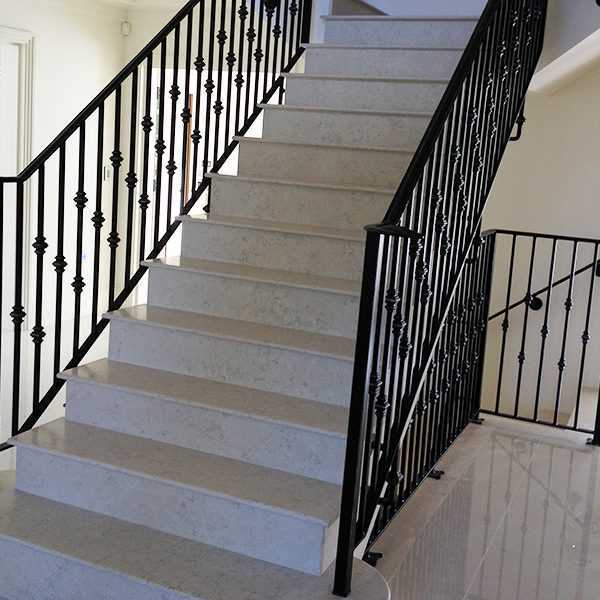 This heavy wrought iron staircase railing and posts create a strong weathered look.Our wrought iron balusters are hand fabricated by well trained craftsmen and quality inspected before being professionally packaged and shipped. The staircase brings elegance and beautiful air to the family. 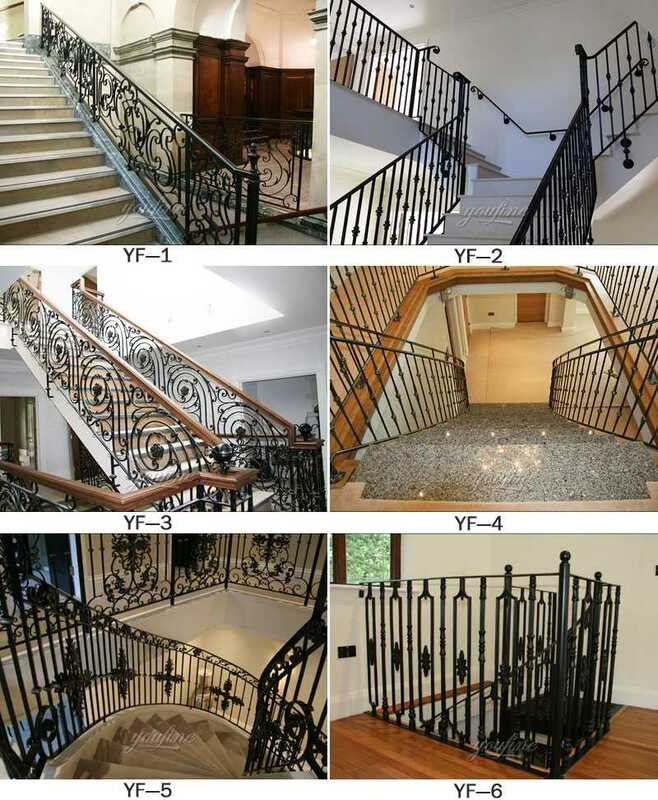 The use of wrought iron stair handrails is a common and simple choice in interior design. This is a durable, easy to maintain and classic appearance of the material. In addition, there are countless design possibilities. Designers can use a all-metal look or mix of wood and iron to get a more modern style. Not only that, but Black is good with any other color. 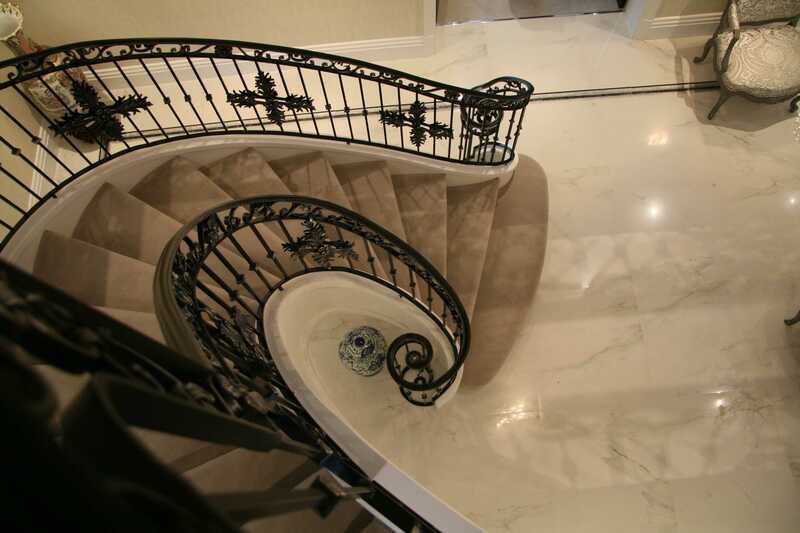 In the picture above, the elegant and decorative iron stair railings Create a lovely frame around this home’s beige marble staircase. It contains a soft metal scrolled work and a small barrel accent. 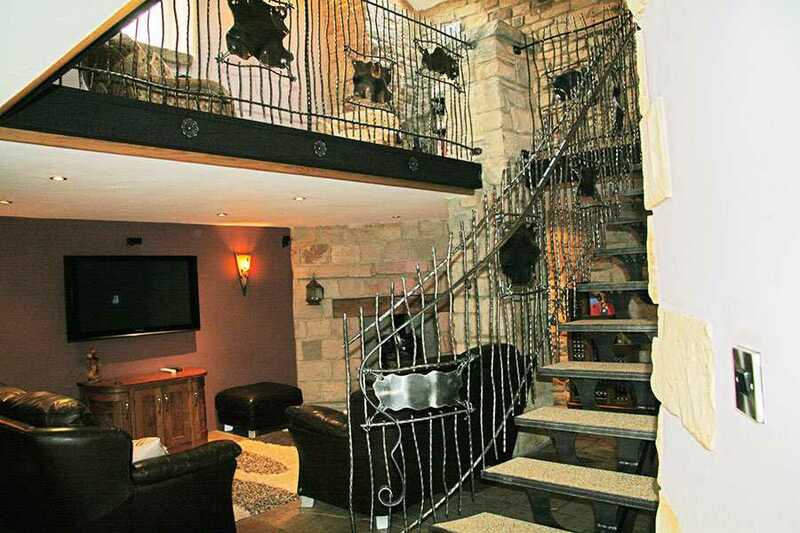 A metal stair handrail on top of concrete staircase adds a lovely detail feature. The gentle decorative scrolls inside vertical rails create a soft delicate feature to this stairway. 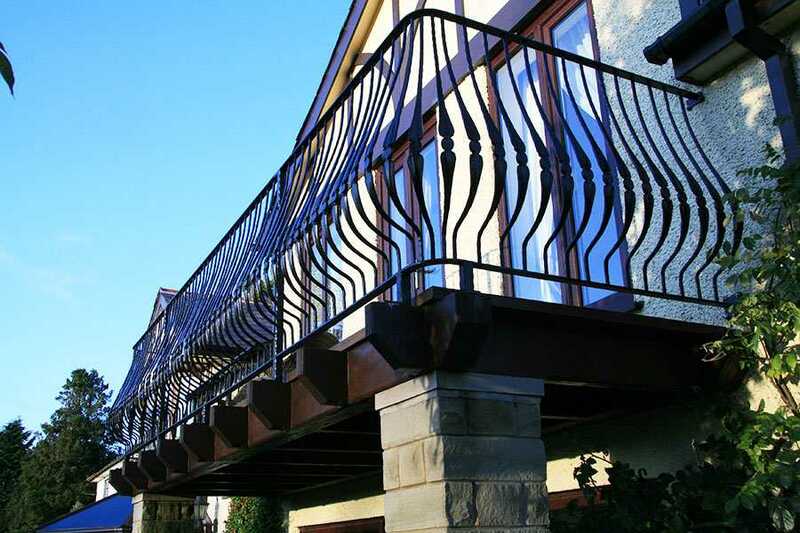 This heavy wrought iron staircase railing and posts create a strong weathered look. 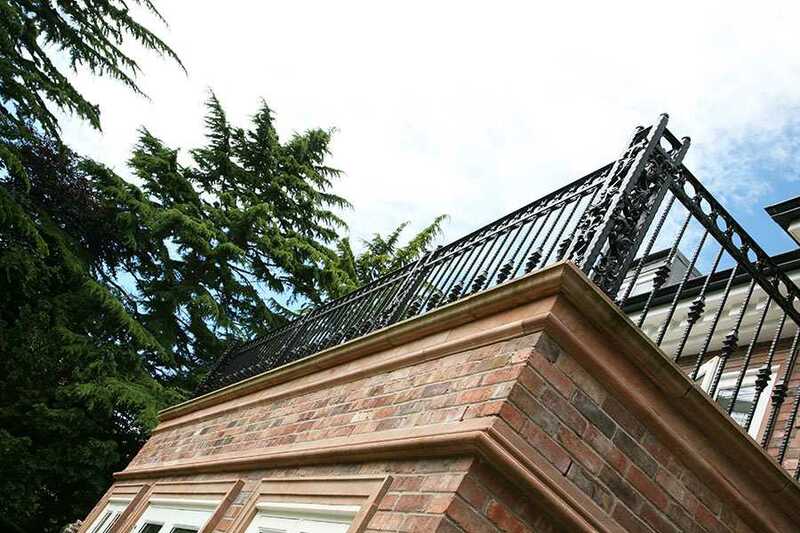 The soft gentle bends of the rail detailing supports the dense and ornate baluster in an elegant look. At YOU FINE ART SCULPTURE, uncompromising quality and attention to detail have been a proud tradition for over 30 years. 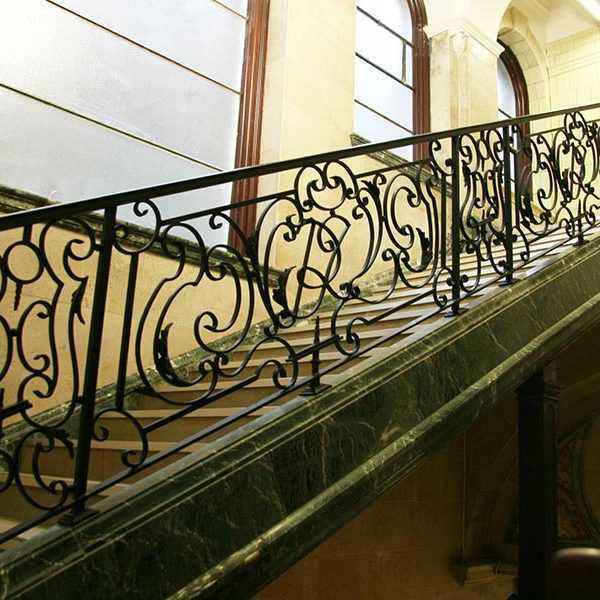 Our wrought iron balusters are hand fabricated by well trained craftsmen and quality inspected before being professionally packaged and shipped. 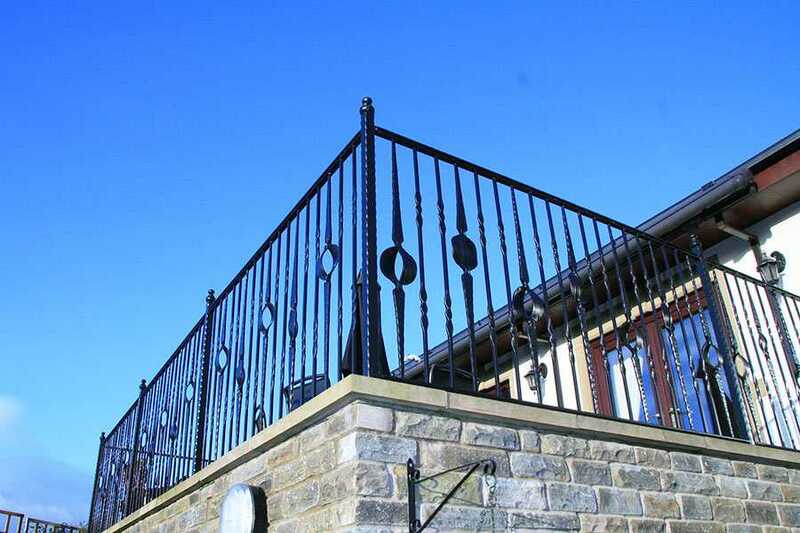 An requirement about wrought iron balusters or want to other iron product for home or garden decor,please contact with us NOW !